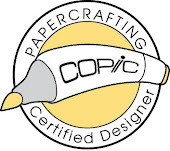 Welcome to the CookingWithCricut.com and PaperCraftingWorld.com Designers June Blog. Cricut cartridges Everyday Paperdolls and Doodlecharms. 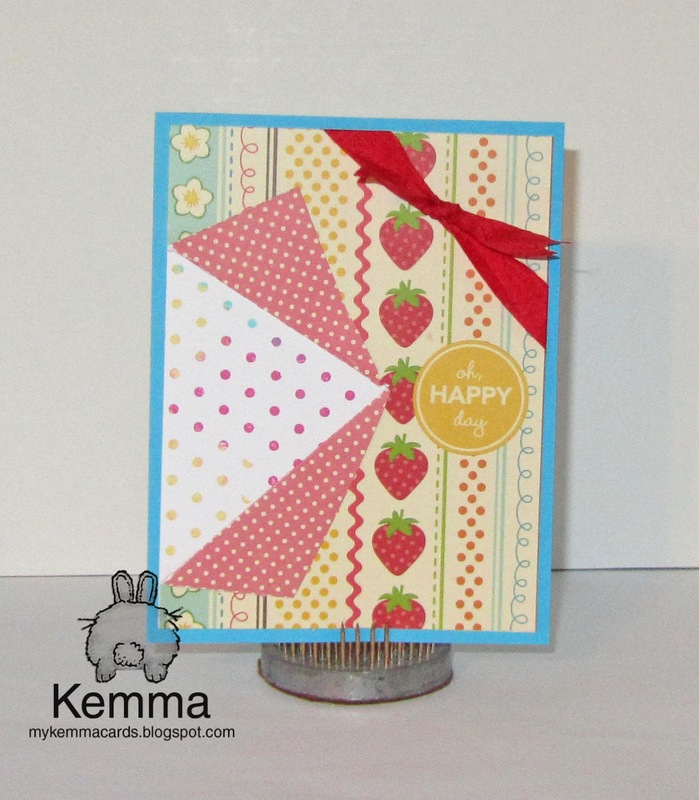 Cuttlebug embossing folders Swiss Dots and Herringbone. Tattered Angels glimmermist. K&Co Happy Trails Mat Pad. Cordinations Paper. 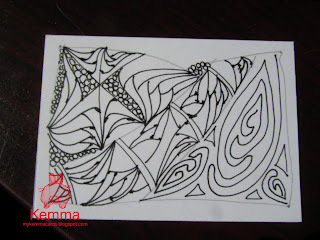 Scrap cardstock. atyouSpica pen. Xyron sticker maker. Pop Dots. 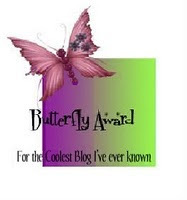 Be sure to head over to CWC and leave a comment for a chance to win some great blog candy! Now on to your next stop Jamie A. Yes I am a little late, folks have been talking about this for a while but I finally got the bug to try it and its actually quite a lot of fun! There are no rulers, no rules, just zen-like drawing one step at a time. 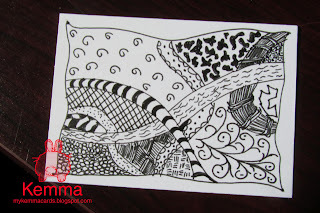 Check out www.zentangle.com for more info. 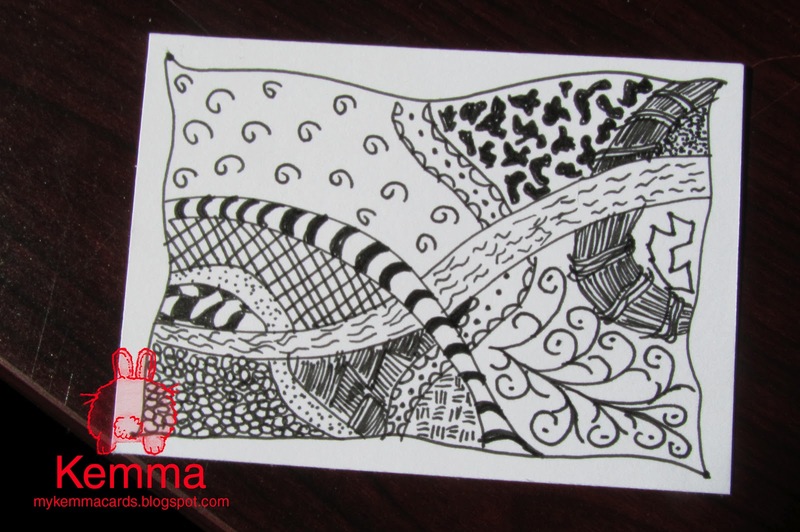 Here is my very first 4 times doing it, I chose ATC cards and will be doing a bunch more! I just love Papertrey Ink products, way to much! Today's challenge used a special masking technique. Supplies are in the colors of PTI Melon Berry, Hawaiian Shores, Simply Chartreuse and Dark Chocolate. 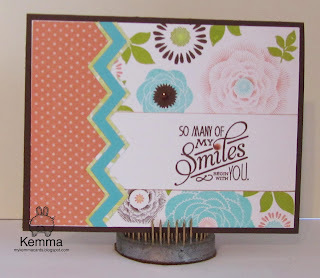 I used my new Natural Beauties stamp I got for the upcoming Stamp-a-Faire. 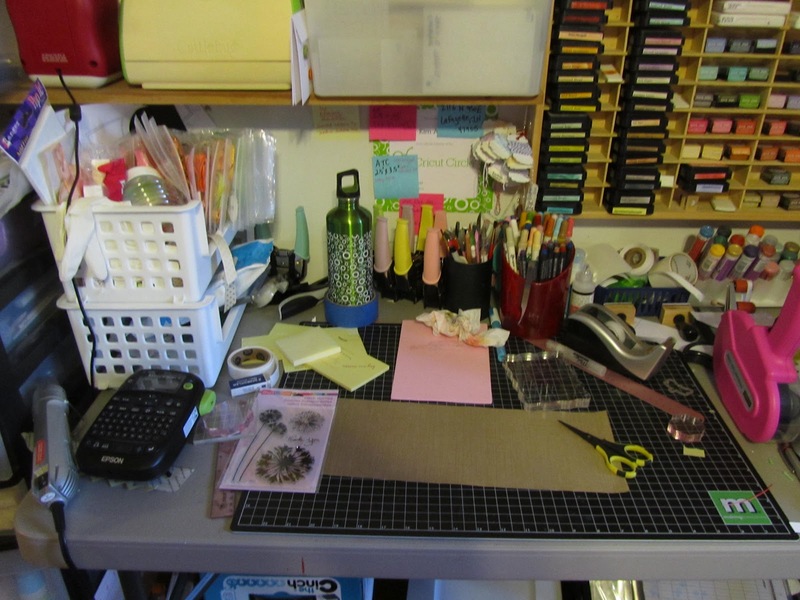 I also used a zigzag die. I embellished it with clear rock candy Stickles, but I found out, as you can see in the word Smiles, that apparently they are not compatible with PTI inks, as the brown of the stamp went into it. Ah well, still a nice card. I like this technique. 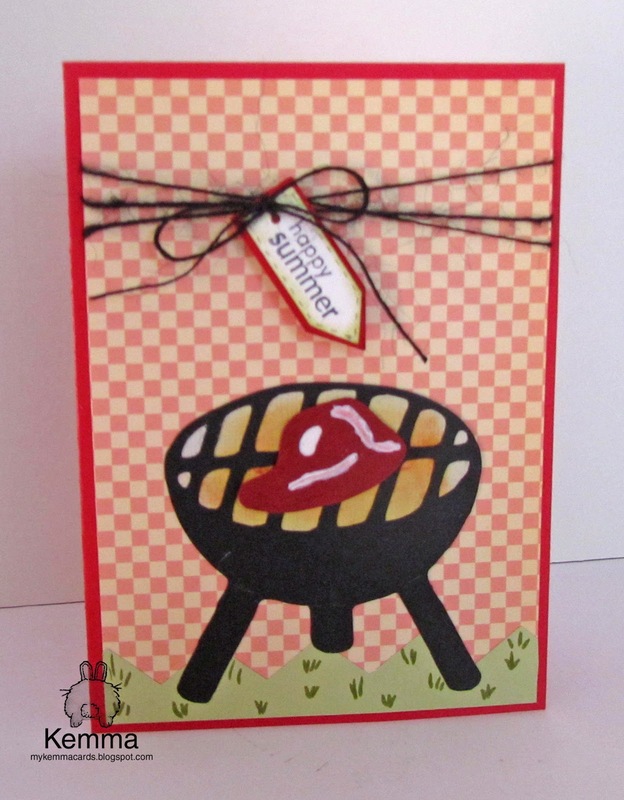 Today's Cooking with Cricut challenge is about the 1st Day of Summer – Your project must feature a BBQ or Picnic theme or item for one of those events. I found this lovely paper that reminded me of a picnic blanket. 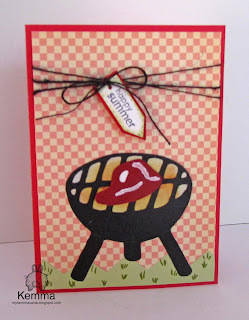 What a great way to start off summer with a BBQ, such a happy summer! DCWV card base in red, the cuts are all from scrap cardstock. Argh! I am so excited yet so mad at myself for buying two big things on my credit this past month but but but it was so amazing I had to! Do you see the first item? Yes I got that wonderful Copic Ciao set for 42% off on Ebay! NEW! (they still have a couple sets left!) The only problem is the case was cracked-oh whoopee! I can now get rid of my LetraSet Pro markers, that I found were not as easy to use, and now have a nice big set of Copics. (I only had a couple markers before, hmm save the duplicate colors for blog candy some time) Now, to learn all the wonderful uses! (No, I just barely know how to really use them) I also got two Copic books this week to try to learn techniques. So stoked! 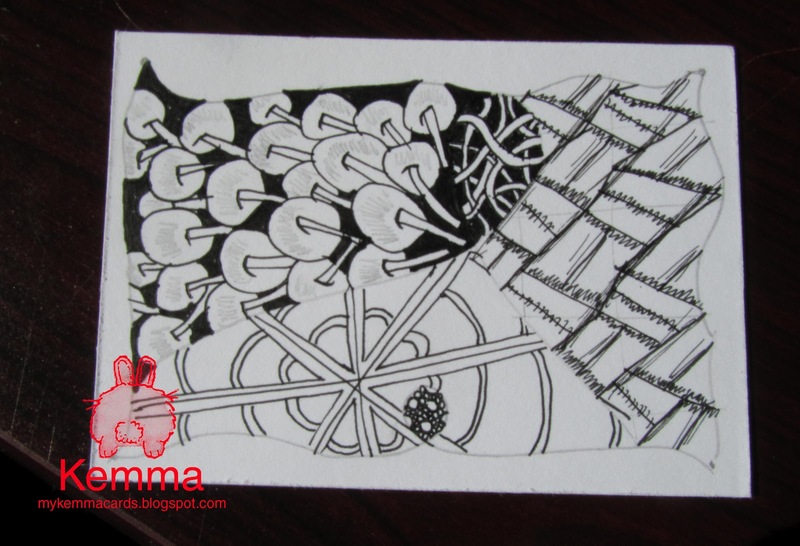 Must go get more white heavy card stock! The second item I didn't realize did not make it into the photo, but all you would have seen was a cardboard box with a tote bag in the top. 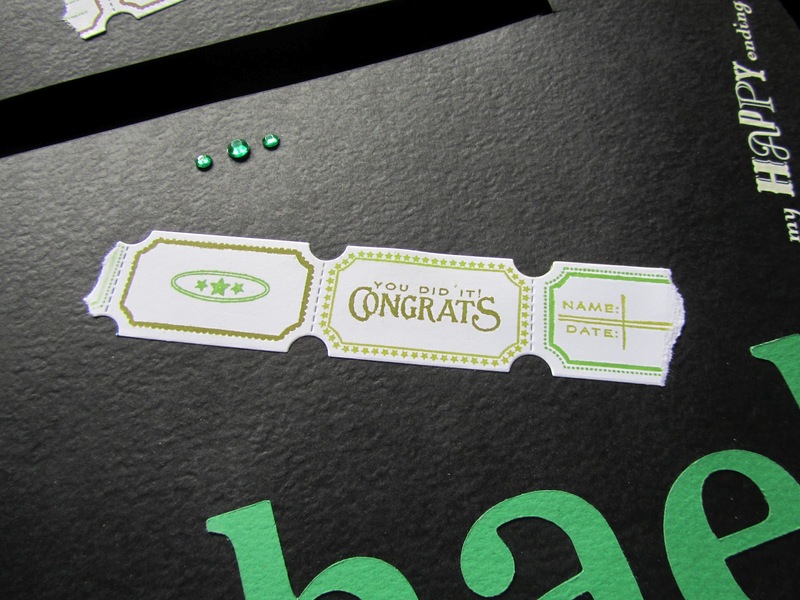 Yea, I got the Papertrey Ink Stamp-a-Faire set. Oh what did I get myself into with that! A full day of challenges and projects-whew I ope I can do it. I toyed with sending it back, but geesh, why? Will I use it, sure thing, will I like it, you bet, can I afford it, yes I really can, I just feel guilty spending that much. Ah -how do you spell it in French, say la vie? I am going to try something new this week. I hope to visit everyone who's WOYWW # ends in the same number as mine, noticed this on another's post, what a terrific idea! I will also try to visit everyone who visits me, so let me know your # too!! 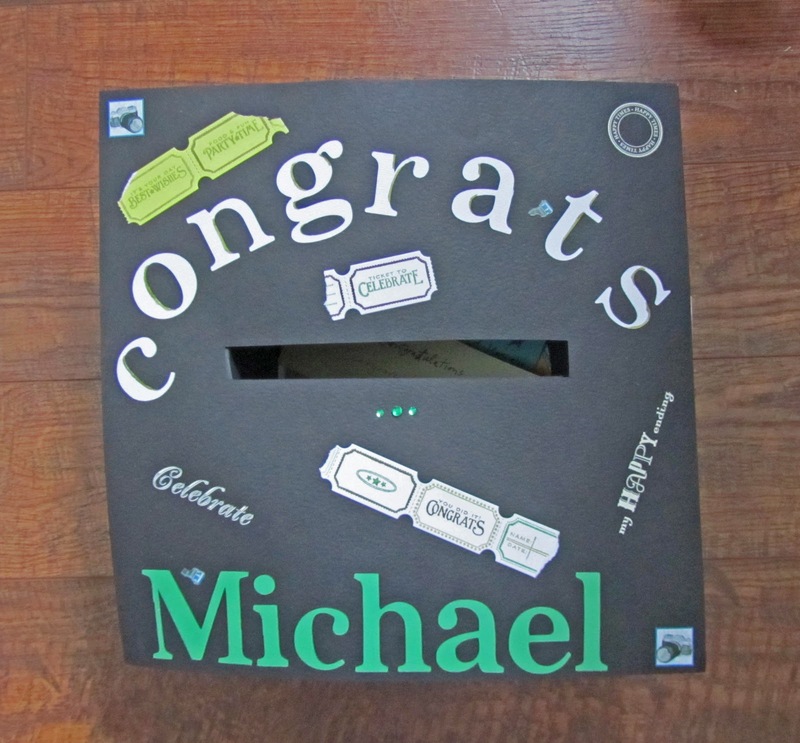 Here is the graduation card box that I made for Michael's graduation. 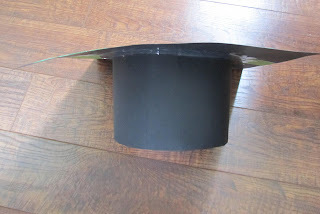 The idea started here with a round box for the base. I wanted to make it the right size for a 12x12 sheet of cardstock for the top mortar board, but also be able to get the sides out of no more than a sheet of 12x12 cardstock, so I used this calculator and made a 7 inch circle. 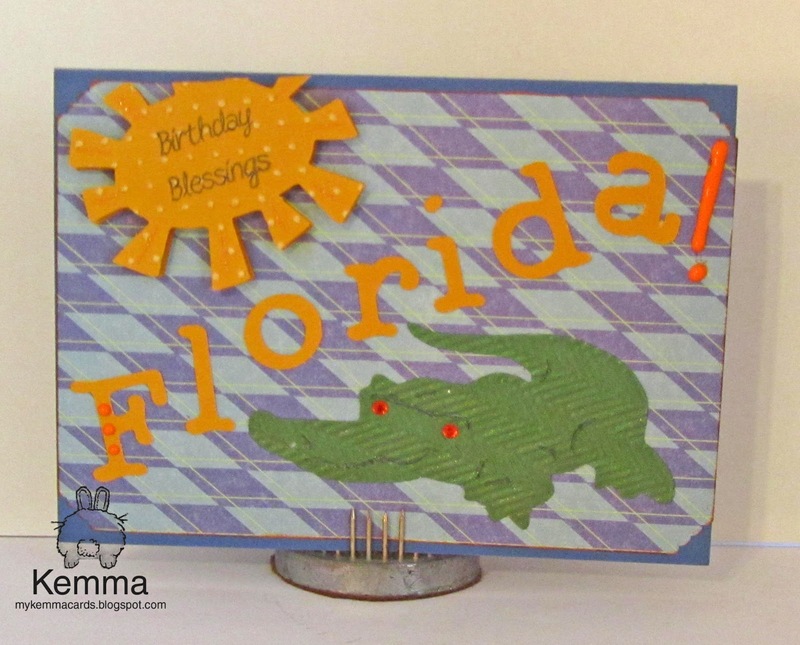 Instead of the top of the box, I attached the 12x12 paper on top and cut a slit in it for cards. I used white card stock for the bottom, since I was limited on how much black I had plus thought it would make it easier to see inside. 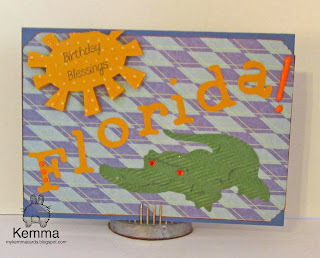 I cut out the letters and circle with my Cricut using the Gypsy and Kate's ABCs. I then embellished it with some stickers, gems and rub-ons I had in my stash. 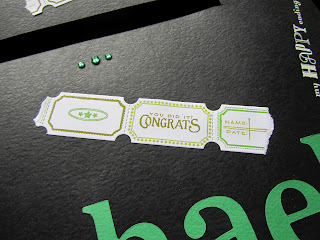 I made some 'tickets' with Papertrey Ink "Just the ticket" die in my Cuttlebug and stamp set. I also took a bunch of scrap cardstock and made squares that I put next to this with pens so if anyone wants to write Michael any advise or wishes, they can also drop them into the hat. You can see a few in there already that I have collected. This is my take on this challenge. 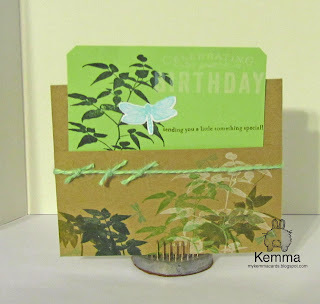 You have to use at least one Papertrey Ink product and the layout/template from the challenge. 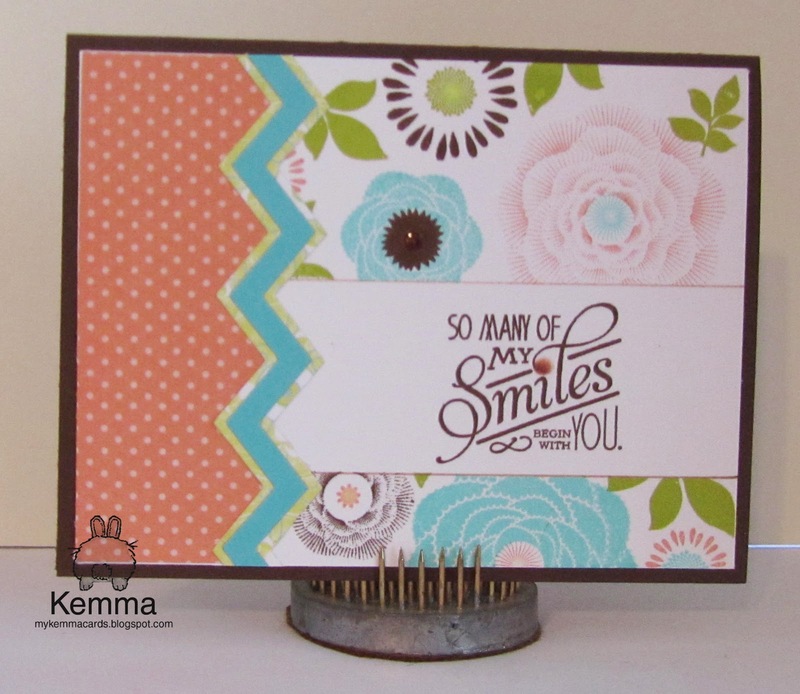 The card base is Papertrey Ink Hawaiian Shores cardstock. I also used Raspberry Fizz, Hawaiian Shores, and Harvest Gold inks on the polkadot stamping layer. 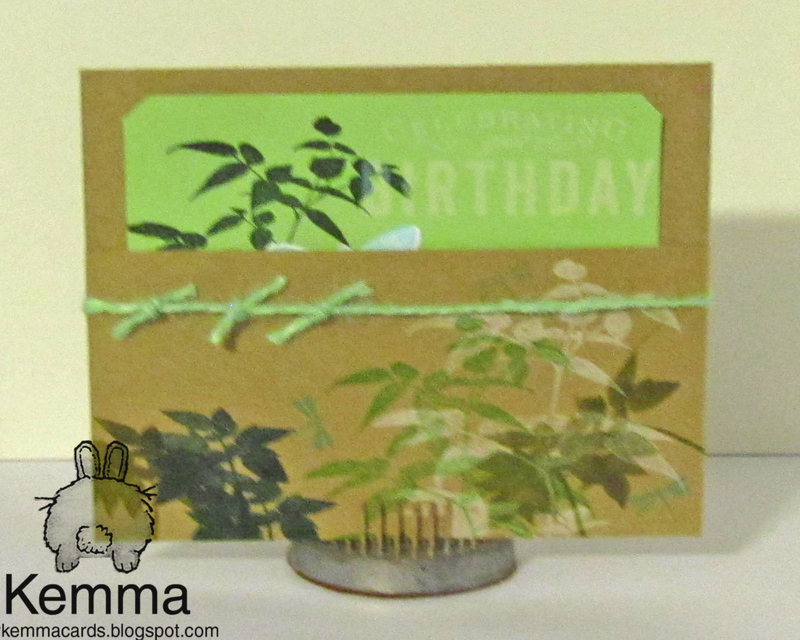 The patterned 2 sided paper and sticker are from October Afternoon and the ribbon is from Really Reasonable Ribbon. I played around with a few paper flowers but to me more was distracting. Now a question for those peeking here, when you click a link to look at a card posted on a challenge site, are you expecting or wanting a list of supplies used? I am trying to find out if visitors really want to see the supply list or not. Thanks for your input!! Been a little while since I posted. 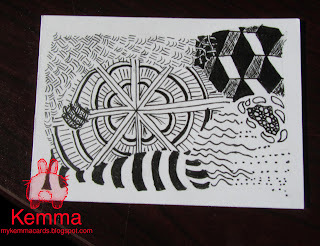 Went to a card class this week and got a new stamp set. Sorry its kinda dark, its at night and my lighting is not what I want/need it to be and I have not really been able to figure out a good cheap way to fix that. Let's see I recently finished my collection of Tim Holtz distress inks, have them all now, and almost all of the distress markers. They are a lot of fun to use. Here is my interpretation. I have to say I found it more difficult since I really couldn't find one of my stamps that would really lend to this technique. 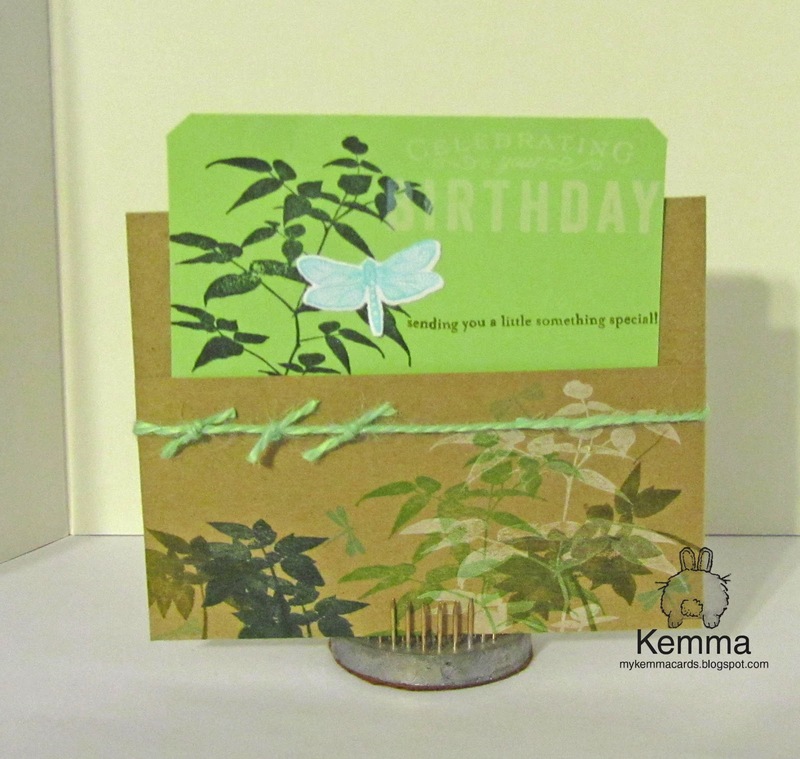 I almost did butterflies, but the person this card is for is male, so that really limited it for me. I think I need to get more stamps that have multiple sizes of the same image.